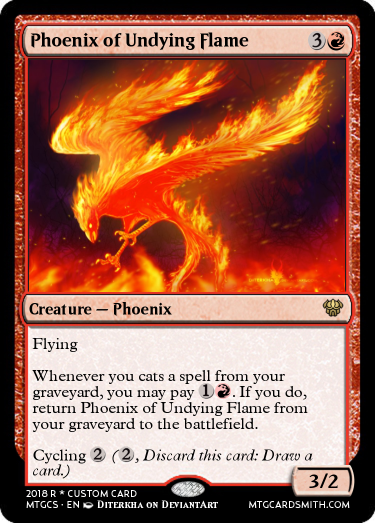 - Each month, mtgcardsmith features a couple cardsmiths. This contest puts the featured cardsmiths head to head in a duel deck format. This challenge is to create cards that fit into their duel decks. - The purpose of these decks is to let the theme, characters, colors, and overarching flavor of the deck develop as more entries pour in. Thus, I will only provide primary mechanics for each deck. Can't wait to see the end result! - Post cards for either deck. - Always specify which deck your card is for. - There will be multiple winning cards. - All duel decks have key cards and fillers that make the deck unique and/or strong. Your cards are graded and judged based on this. - Each winning card will be announced along with a brief reason why it won. Each winning card provides you with 5 favorites of your choice. - Each cardsmith's duel deck has carefully selected primary mechanics based on the cardsmith's dominant mechanics amongst cards he or she created in addition to balancing between the two decks. Up to three days of research and analyses of each cardsmith's work plays into the final duel decks' themes and mechanics. - You are encouraged to submit cards that use the primary mechanics or that synergize with them in addition to fill cards that add character and theme to the deck. - Feel free to stray from the primary mechanics. Deadline is the 29th of April by end of day. I'm glad. It's the first one of these I'm doing. So hopefully it'll become more clear how the contest works throughout the months to come! I didn't know what colors the decks where, so I just went with my gut on this. Thats what you are supposed to do! The colors will reveal themselves as smiths post cards! This was a bit of a challenge for me to create, as I am more of a EDH player. 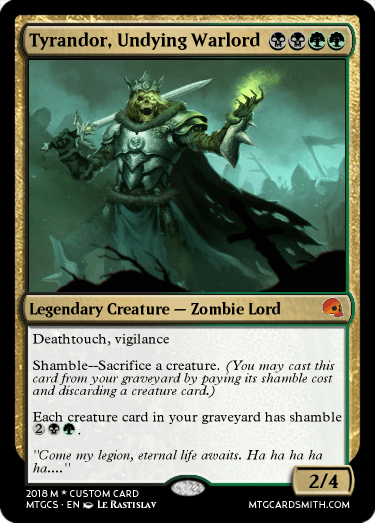 However, the idea of this card came from the card called Undead Servant which was a common that came out in the Origins set. Yeah, I recognize the ability. So is Animists deck white/black and is BellBOY_ds deck black/red?